What exactly is the definition of art? What is your definition? According to the Merriam-Webster Dictionary, art is defined as work that is produced with “the conscious use of skill and creative imagination” – sounds like makeup, right? Makeup can be simple and natural, striking and dramatic, or anything in between. Art can impact the way a canvas is viewed – instead of a plain white canvas, art can turn it into a colorful display of just about anything. 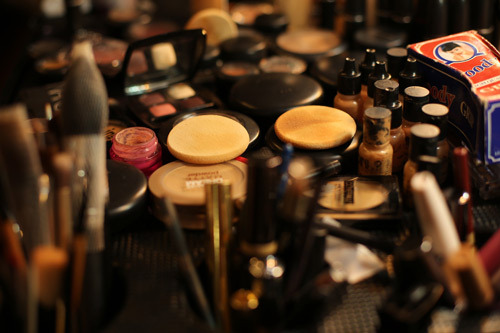 The same holds true for makeup – it can transform the face from a natural, “plain” canvas to a sweeping, alluring one. Aside from the general observations, there are also more specific traits of art that are used with makeup. These include tools of the trade, color, balance, lines, and a love of beauty and creation! Just like the artists who love photography, drawing, pottery, or painting, makeup artists are passionate and are always looking to create. 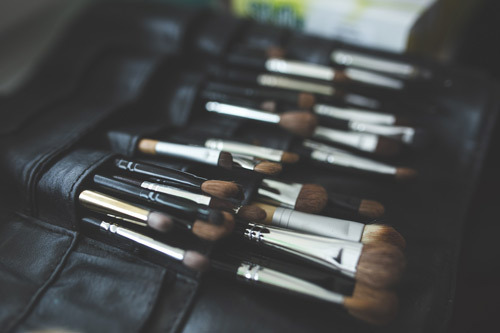 As painters have their brushes, photographers have their cameras, and artists have their pencils and chalks, so too do makeup artists have their brushes of all sorts – and each serves a different purpose! Various makeup brushes are ideal for various techniques in makeup application. 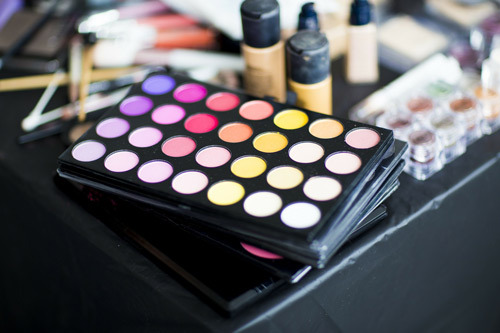 Creating mood with colors is something that makeup artists do as well as painters! 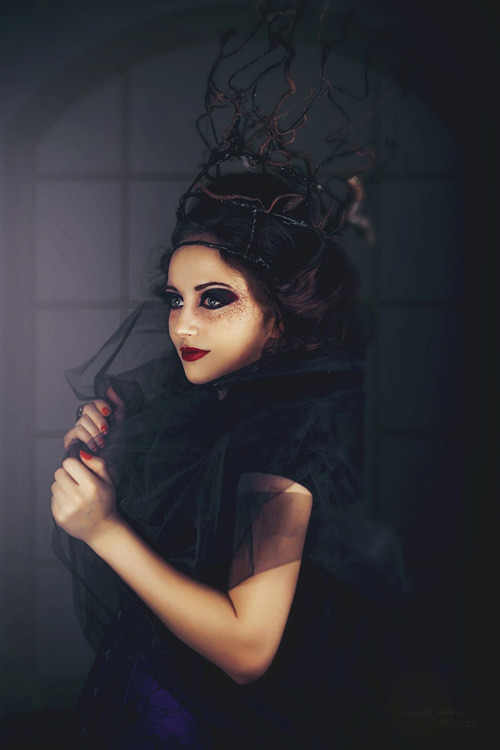 Just as painters mix colors to create shades and moods, a makeup artist can use lighter shades for wear during the daylight hours and dark, dramatic colors to create a sexier, sweeping, mysterious look for the evening. Various colors can create illusions on the face – the illusion of drawing out the cheekbones, slimming the nose, or the illusion of enlarging the eyes. It’s all the same as painters create the illusion of three-dimensional scenes on flat canvases. Symmetry is critical in all forms of art – the presence of it as well as the lack of it. Faces are created from lines, and various lines can create different looks for faces. Using a variety of colors and blending techniques, makeup artists can create a bold, angular look for a face or a soft, subtle look. Using stark, hard lines to create stopping points is a technique used by artists of all kinds, from painters to those who hold makeup brushes. Makeup can have a dramatic effect on a person’s life. With applications ranging from the light to the lavish, the dainty to the dramatic, and from the mundane to the marvelous, the power of makeup can be summed up by the power of optical illusion. Whether women use it to even out skin tone, look younger, create a look that isn’t so sleep-deprived, men use it to enhance their brow bones or jaw line, or children use it to transform themselves into someone else for Halloween, the impact that makeup has on people every day can’t be disputed. 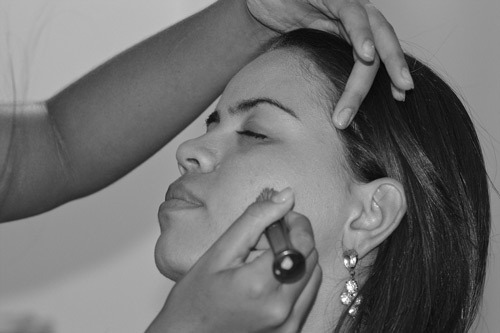 With the right knowledge and the right tools, along with a passion for true art, makeup artists can make their mark and influence the way people view others and themselves for good.